Garages are a great amenity to homes and businesses. You can open and close a large door with a touch of a button. Garages help protect our vehicles and other valuables against weather conditions, theft, and more. Garage door openers are used just about everyday for those who have them. While garage doors are generally pretty durable, after consistent use over time, they are bound to malfunction. When garage door openers malfunction, they usually are ineffective and operate improperly. Whether your garage door won’t open or close, the remote won’t work, or another common garage door problem, it is essential to know what is the issue. Leaving a garage door unrepaired can increase the chances of damage and injury. The good news, though, is that when garage door openers stop working, spending some time troubleshooting the opener will usually solve the problem. 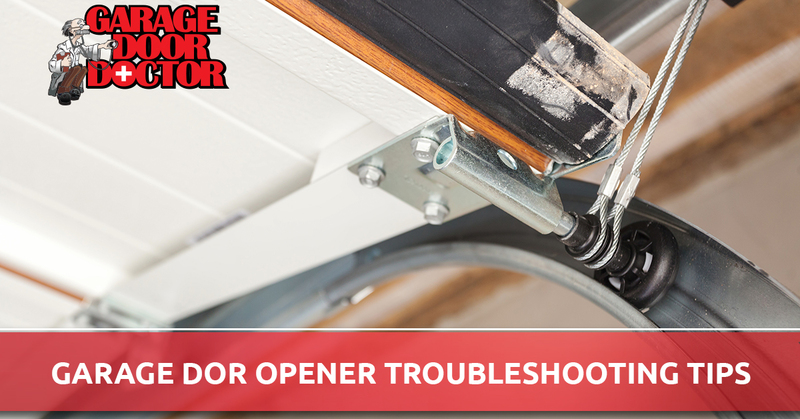 To help you find the source that caused your garage door opener to stop working, we’ve put together a list of troubleshooting tips. If trying these tips doesn’t solve the issue, you will want to call a professional garage door repair company. Believe it or not, one of the most common reasons garage doors stop working is due to the power source. Before you break out the tools, be sure to ensure all power sources are properly positioned. Check to make sure the operator is plugged in properly, and that its socket has electricity — sometimes the issue is a blown fuse. If your garage door opener works from the internal remote, you may need to check and replace the batteries of the garage door opener remote or wireless keypad. You’d be surprised how many times a simple change of batteries solves homeowners garage door issues. Sensors were created to help prevent accidents and injuries. These sensors, or photo eyes, employ an infrared signal that will ensure that if anything is in the way of the door, it will automatically reverse before causing potential damage or injury. That means if anything is interfering with the signal between the two sensors, the garage door will not work. To troubleshoot, make sure that the two sensors are level with each other. It wouldn’t hurt to ensure the sensors are tightly fixated to the door frame. Check to make sure common garage items like trash bags, brooms, and even debris is away from the sensors. Interference with sensors is also a common problem, so be sure to make them one of the first things you check. In addition, it may be beneficial to periodically clean the lens of the garage door sensors, since dust, snow, and debris can interfere with the signal. Speaking of the garage door opener remote, you may need to reset it to get it working properly. Depending on the system your home or business has, it is possible that the remote will need to be reset after changing the batteries or reprogramming the operator. A power outage may even cause your remote to need resetting. Many homeowners get frustrated after spending hours trying to troubleshoot their garage door opener problems, only to find that it is a quick and easy fix. The wall control unit is often an overlooked piece of the garage door system. We know you can use it to open and close garage doors internally, but what else? It is shocking how many people don’t notice the lock button on their control unit. It’s not uncommon for homeowners to accidently pushing the lock button when attempting to close or open the door. Before you begin troubleshooting the more complex parts, be sure that the lock feature is not active. If you can’t figure out or find the lock feature, be sure to check the manual. If none of the quick fixes above solve the issue, it is time to move forward with more technical troubleshooting. To start, you should inspect the operator. The operator is the heart of the garage door system. A small issue with the operator, like overheating, defective wires, or broken buttons can cause the whole system to operate improperly. A common issue with operators is overheating. If you constantly use your garage door opener and think overheating may be the issue, give the system about 30 minutes to cool down before attempting to use it again. Garage Door Doctor Tip: If the operator is only opening the door six to eight inches at a time, its most likely a issue with the RPM sensor. These sensors detect motor speed. Each brand of operators are different, but generally, if the operator lights blink five to six times when attempting to use it, it may be an indicator for circuit issues. Fixing these problems are a bit more complex, so unless you’re knowledgeable on garage door repair, you should consider calling a professional repair service. It is not uncommon for garage doors to occasionally get stuck due to the track or inner trolley being bent, loose, or broken. The alignment of the track plays a huge role in the functionality of a garage door. In some cases, the problem can be fixed by minor tweaking. However, if the misalignment is more severe, you’ll want to contact a professional garage door company, you may need a new track or trolley installed. At Garage Door Doctor, we specialize in Indianapolis garage door installation. Whether you need an inspection or a replacement, we can help homes and businesses throughout Indianapolis and the surrounding areas! This troubleshooting method requires getting your hands dirty, but that’s much better than having a garage door that does not work. IF your garage door is getting stuck, it may need lubrication. Grease the moving parts of a garage door, like the bearings and hinges. Garage Door Doctor Tip: Choose a dry lubricant so it will not attract debris and cause issues in the future. Sometimes problems with garage door openers are beyond troubleshooting and require hiring a professional garage door repair service. 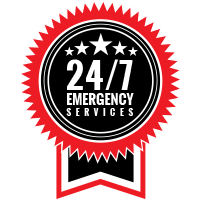 And, if you’re having problems with your garage door opener in Indianapolis and the surrounding areas, there’s no better choice than Garage Door Doctor! At Garage Door Doctor, we specialize in garage door repair and replacement. We also have years of professional experience in garage door installation. 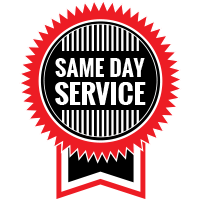 To receive a free garage door estimate, schedule a garage door service for your home, or to receive more information, contact the garage door experts at Garage Door Doctor!